Concealed Ovens. Why do it? 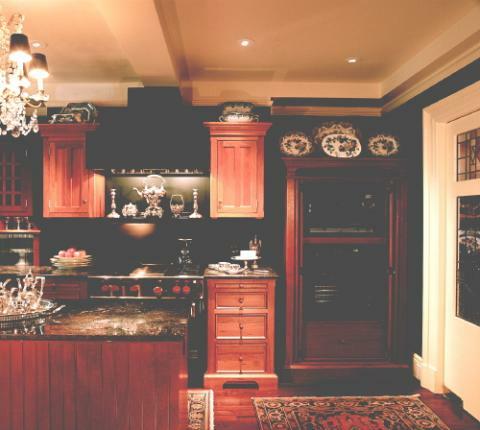 Many kitchen designs today are defined or characterized by the position and visual qualities of the range. High end kitchens will often feature an exposed commercial style stainless steel range, many times surrounded by a hearth style mantle piece incorporating the exhaust hood. 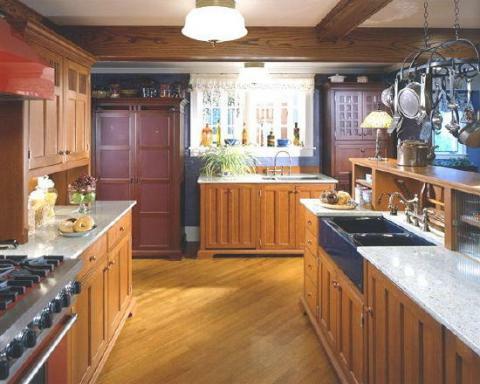 More modest kitchen designs will simply place a less expensive stainless range into a long line of cabinetry. The range acts as a visual break and the back splash behind the range can be used to feature accent tiles, bringing more focus to that area. Here at YesterTec, we think that there is another option to consider. For a long time, it has been common practice to conceal refrigerators, dishwashers, even some warming ovens behind cabinet panels. Following the same idea, we developed a way to safely hide the hot appliances like ovens and cooktops behind flipper doors, so they can’t be seen when they are not being used. This U.L Listed technology was developed specifically for our Kitchen Workstations, our line of independent pieces of furniture for kitchens because we wanted the pieces to keep their integrity as real pieces of furniture, and not just ‘furniture-like’ cabinetry with exposed appliances. But the technology is also key to our other lines that have concealed ovens, our Stealth Kitchen Modules and our Mini-kitchen lines. We think that this option is great for multi-task kitchens that need to blend into other rooms like family rooms or more formal rooms like dining and living rooms. 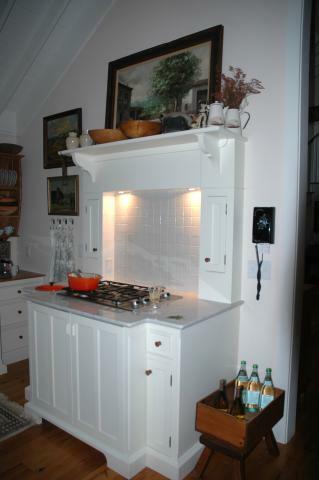 It is also good for kitchens that are emulating a period of time when modern appliances weren’t around. But we’ve also seen our concealed ovens used in kitchens that have exposed stainless steel ranges. In the examples shown in this article, you’ll see kitchens that have dominating ovens, concealed ovens, and some that have both. The point is, there now is another design option to consider; concealed ovens. We hope that designers will think of this option as a new tool to use in creative new ways. 1.Shown above, a large commercial style range was flanked by identical freestanding cupboards. But also shown are two other concealed ovens that are hidden away in one of our Pie Safe workstations. 3. This Beach home’s owners chose to flank the exposed stainless range with two workstation tables. The focus of this room is the artwork, not the range itself. 4. 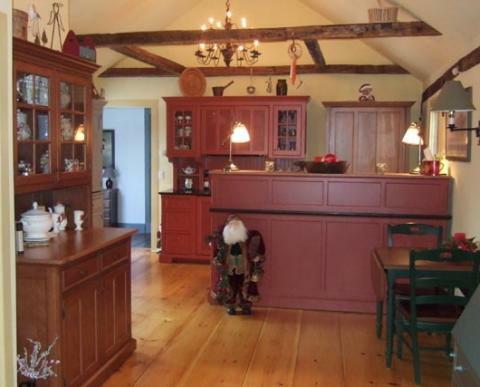 The farmhouse kitchen above is exposed to the front hallway, living and dining rooms. 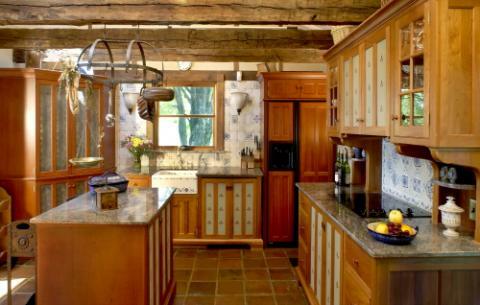 Hidden away are 3 concealed ovens (one is in the island, two in the breakfront piece on the right) This approach helped to preserve the restored interiors of this home. 5. This Hearth Style Custom range includes a hidden oven below the cooktop and the hidden remote vent. 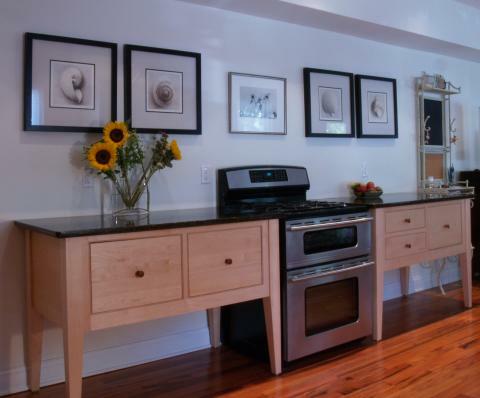 Its design was intended to blend into the Shaker inspired look of this furnished kitchen. 6. 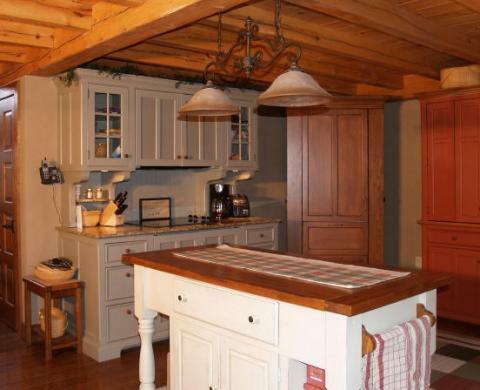 This post and beam home features a furnished kitchen that is open to all the other living spaces. The range features two concealed ovens. Next to it is the refrigerator/pantry (the sides open to expose one-can-deep storage). 7. An 18th C. renovation included 6 YesterTec pieces, 4 shown above. The red range features two concealed ovens. 8. 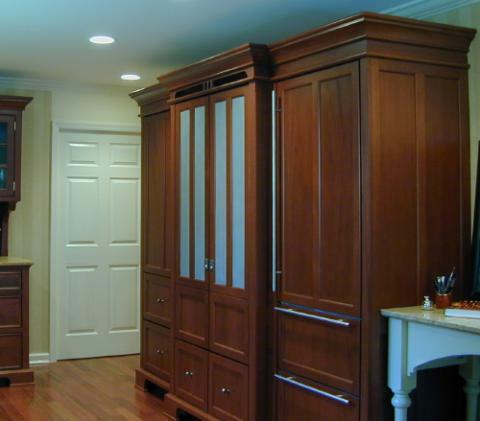 This armoire has two concealed ovens in the center section, a Subzero 700 refrigerator on the right and a matching pantry to the left of the concealed ovens. 9. Our line of Stealth Kitchen Modules enables the kitchen to completely ‘disappear’ behind designer selected door and drawer panels. This allows a kitchen to blend in seamlessly into rooms that need to be much more than a kitchen, in any style from period to minimalist. Oven modules can hide double ovens or a full range. So, now you have seen a few examples of how hidden ovens can be used, and with a little imagination, there are many other ways that concealing the ‘hot’ appliances can enhance a home’s design! Oh, and by the way, the kids will find the oven once you’ve hidden their Easter basket in it! 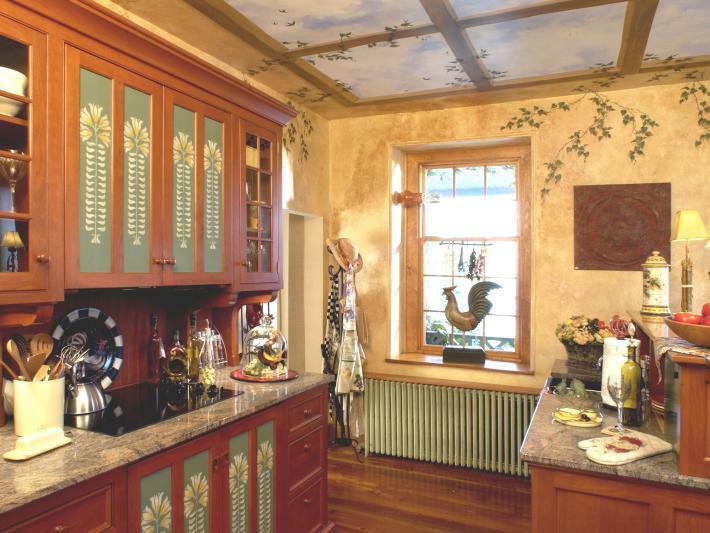 Previous ArticleHave You Hugged Your Kitchen Today?